The museum has the commitment to widen the access of people to culture and for this reason collaborates with other cultural, educational and social entities. 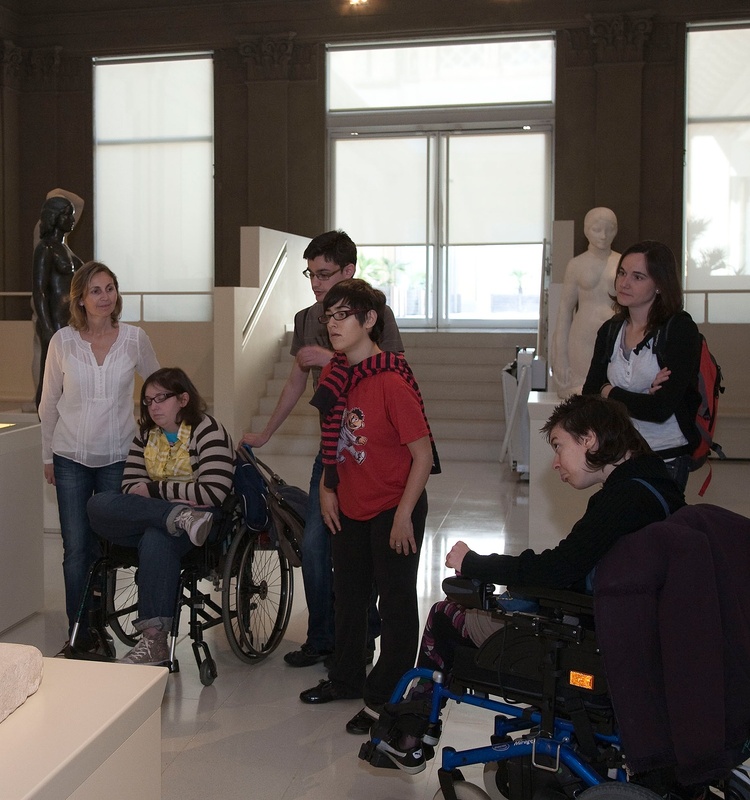 Audio-visual maps of the city, a new space aimed at people with cognitive disabilities or functional diversity sponsored by the Fundació “la Caixa” –Art for social improvement (2013 call). The proposal has as a reference the retrospective exhibition about the photographer Joan Colom (I work the street. Joan Colom, photographs 1957-2010) which will be a starting point to do a work of reflection and artistic creation about the city, the neighbourhood and the relation of the participants with the spaces of the city. The project will be carried out by professionals from the world of cinema, from the team of Cinema en curs (A Bao A Qu) and accompanied by Mar Morón, who will work with the users and educators from the centres that participate in the development of the creative proposals. To facilitate the acquisition, by the participants, of some expressive resources from photography, sound and audiovisual montage. To generate a visual and sound map based on the everyday experiences of the participants, which make known what their visions are of the city. It will be carried out over 4 months in various sessions and will take place in the centres and in the museum and two training days aimed at the users and the creators themselves. The project will finish in November or December 2014, with the public presentation of the short audiovisual pieces jointly created by the participants and the professionals from the cinema and a day of reflection about the use of leisure time of people with functional diversity. We welcome initiatives from other entities for broadening the participation and access to artistic heritage.